It seems like the last time we visited the cheeses it was exactly a month ago but in reality less time has passed. 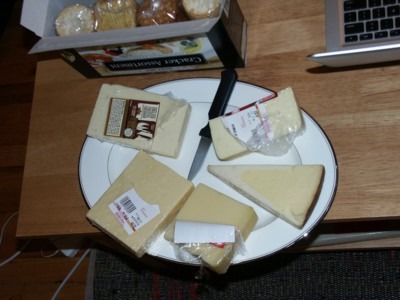 I just haven’t gotten around to writing up the last cheese installment until now. I also seem to have skipped over a lyric of the Hard Cheese of Old England song so I thought I’d go pick that up. 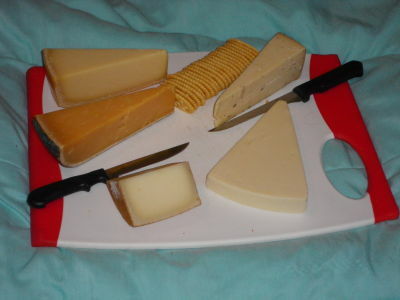 Anyway, cheeses! I had a bit of time to spare whilst running errands and the Cheese, Cheese, Cheese shop happened to be on the same side of the road and we haven’t done a Hard Cheeses post for a while so I thought this was one of those karmic events. 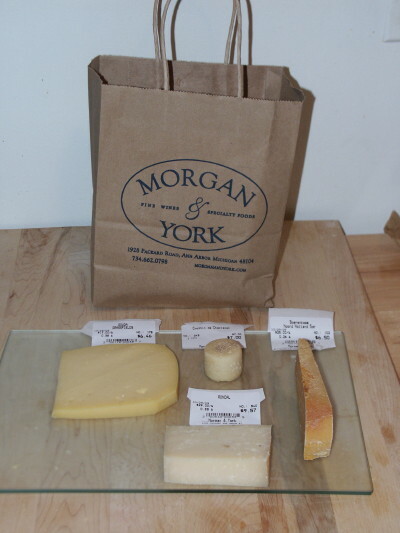 I thought it was about time for another Hard Cheeses of Old England post so when we went to pick up some salmon for grilling, I sent TheMan off with the previous list of Hard Cheeses to find some interesting new ones (and maybe an oldie but goodie of yore). 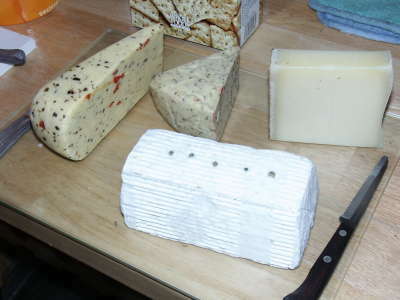 He wandered back with 4 cheeses: 3 new, 1 repeat; 3 with inclusions, 1 without; 3 cow, 1 goat; 3 pasteurized milk, 1 raw; 3 squishy, 1 hard. Heh, OK maybe I’m exaggerating a little on the last but we sure could play “One of these things does not belong” with many different iterations. 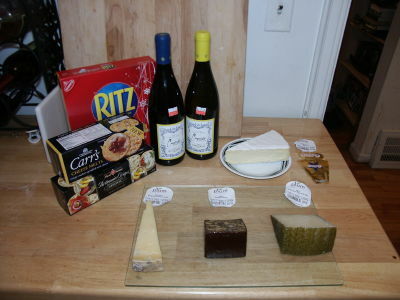 Here we are discovering more cheese and wine. Mmmmm. Once more into the breach of old cheeses! 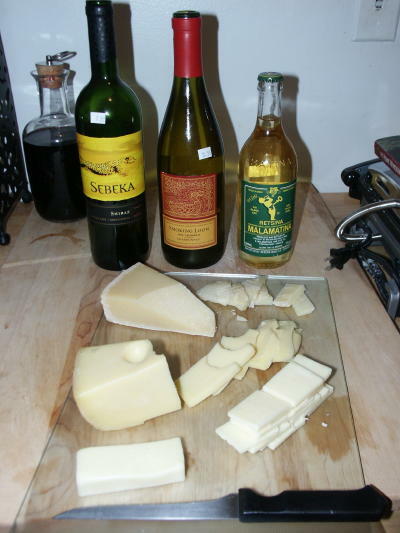 Continuing the cheese thing with four new cheeses. Not that TheMan and I have any actual cheeses reviewing credentials but we both like cheese. A Lot. So why not, you know? This past Sunday was TheMan’s and my 5th anniversary which we celebrated pretty low key. We thought about going here or there and doing this or that but in the end, we decided that a quiet candle lit night with some wine and cheese was just what we wanted. So this we did (plus a little Warcraft but that’s not what this post is about). 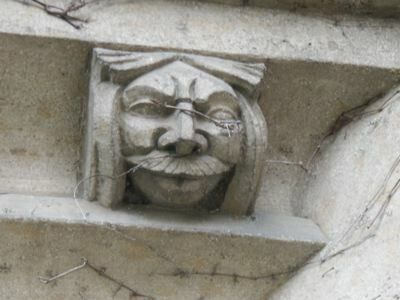 You are currently browsing the archives for the Hard Cheeses of Old England category.